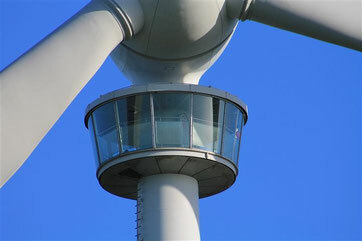 Welcome to the wind turbine with observation deck in Westerholt / Northern Gerrmany. 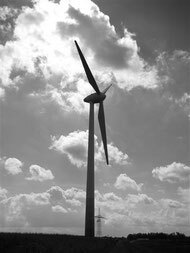 On this site, you will find information on how to get there, where to book a tour, and, of course, more information about the turbine itself. 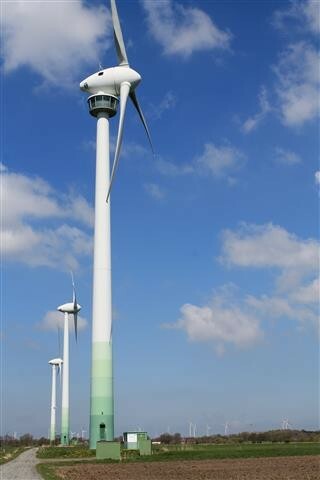 The wind turbine is located in the "Windpark Holtriem" which consist of 35 turbines. The Windpark Holtriem is part of the village of Westerholt (approximately 150 kilometers from Bremen). From the small town of Aurich it takes about 15-20 minutes by car to get to the Windpark. From Aurich, head north towards the North Sea. Here is the adress which is closest to the Windpark: Linienweg, 26556 Westerholt. All 35 turbines are of the type Enercon E-66. Each has a performance of 1.5 megawatts. They have a height of 65 meters and the length of each blade is more than 30 meters. 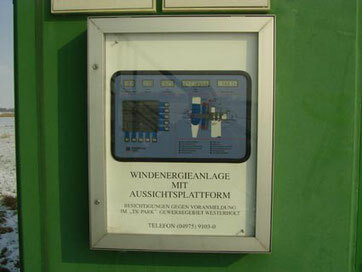 The Windpark Holtriem was buildt throughout the years 1997 - 1998. Today´s observation deck is already the second in line. The previous deck was a little bit smaller and was replaced by the current one. There is a display showing various data at the bottom of the tower: the total energy produced, the current wind speed and the current performance. July 2016: Unfortunately, the display was destroyed (vandalism). 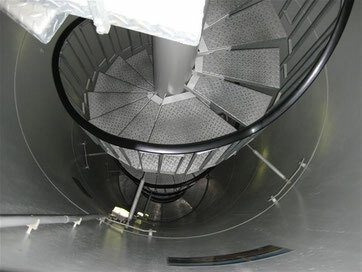 Inside the steel tower, you will find a circular stairwell. It's only in this tower where there is a stairwell. On a tour you will hear the sound of the turbine inside the tower, which is normally not very loud. Additionally, sometimes there is the sound of electric motors which turn the whole turbine into the wind. 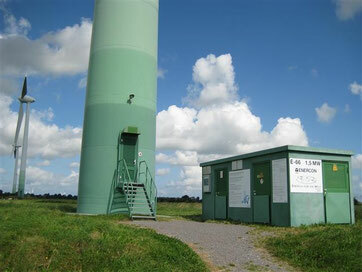 The tower might vibrate or sway slightly in strong winds. Please consider this when taking small children into the tower (they could be frightened). Pets are not allowed on the tower. 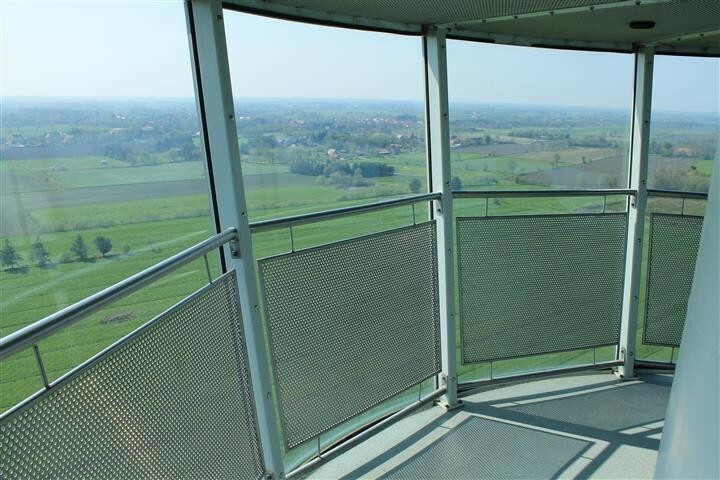 Having arrived at the enclosed observation deck you will have an amazing panoramic view over Eastern Frisia ... if the weather is fine. Close to the windows the giant blades pass by.